Will* knows everyone in the business, and everyone important wants to know Will. With his broad experience and judgment, Will artfully represents clients in defamation and media cases, complex public law matters, and commercial litigation. When it comes to the public sector, Will knows§ first-hand about the unique challenges of the public sector, thanks to his long-standing work for governments and governmental organizations, including his three-year term as Canada’s Associate Deputy Minister of Justice. Will knows the way‡ to successful outcomes, relying on his experience in many high-profile cases, notably his work in resolving the Maher Arar v Canada case, in which he was honoured as a joint recipient of the Department of Justice National Award. .
William C. McDowell is a partner at Lenczner Slaght. Will is currently running to be re-elected as a Law Society of Ontario Bencher. Visit www.litigate.com/WillForBencher to see where Will stands. In his wide-ranging practice, Will has appeared as counsel in many important cases focusing on issues of public law and commercial litigation. He is also a leading practitioner of libel and media law, having acted for both plaintiffs and defendants in numerous noteworthy cases. In addition, he has acted as counsel to several Ontario universities. From 2005 to 2008, Will was Canada's Associate Deputy Minister of Justice, with responsibility for civil litigation, national security and issues involving federal central agencies. He led a Department of Justice team that addressed a complex series of issues surrounding the Aboriginal Days of Protest in 2006–2007. 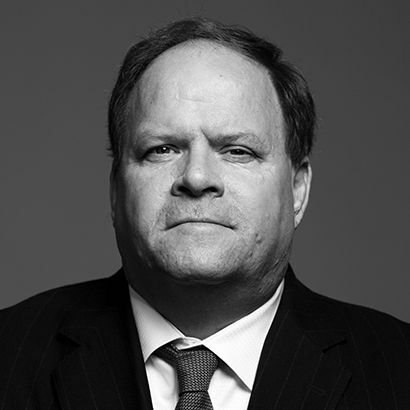 Upon his return to private practice in 2008, Will was appointed by the Chief Justice of Ontario to mediate issues arising from the Truth and Reconciliation Commission Inquiry into Aboriginal residential schools. He was subsequently appointed to an Amicus role by the Superior Court in connection with a series of land occupations in Brantford. In 2009 he was named Chief Commission Counsel to the City of Mississauga Judicial Inquiry, which delivered its report in October 2011. Will was a joint recipient of the Department of Justice National Award for his work in resolving the high-profile Maher Arar v Canada case. He has also been honoured by the University of Toronto for many years of volunteer efforts on behalf of his alma mater. A frequent contributor to professional conferences as a speaker as well as a writer, he has taught trial advocacy at Queen's University and Osgoode Hall law schools. Will is also a Fellow of the American College of Trial Lawyers. Counsel to a prominent criminal lawyer in a case involving allegations of solicitor’s negligence in connection with a guilty plea in US criminal proceedings. Successful in having the action dismissed on a motion for summary judgment. Commission Counsel to the Public Inquiry into the safety and security of residents in the Long-Term Care Homes System. Counsel to Subway in a $210 million defamation action against the CBC and others relating to a Marketplace episode. Counsel to the plaintiffs in an action relating to the design and construction of a data centre. Counsel to an intervener in an appeal to the Supreme Court of Canada regarding the novel question of whether an internet hyperlink to a defamatory statement constitutes republication of the defamation. Counsel to the Government of Canada in relation to litigation relating to the Detroit/Windsor transportation corridor and the new DRIC Bridge. Counsel to the appellant in the Supreme Court of Canada in an interjurisdictional defamation matter. The Court’s decision in this case is one of its leading precedents in the application of public law to defamation. Counsel to the Commissioner in the City of Mississauga Judicial Inquiry, an independent Judicial Inquiry tasked with investigating issues in connection with the acquisition by the City of Mississauga of land in the city centre and issues in connection with a shareholders agreement to which the City was a party. Counsel to the defendant GG Eight Cumberland Inc in connection with an action relating to a condominium development project in downtown Toronto. Counsel to an intervenor in an appeal to the Supreme Court of Canada regarding settlement privilege in mediation. Counsel to the plaintiff in a defamation action involving the online publication of an article by an Israeli newspaper. Successful in responding to a motion and an appeal to stay the action due to lack of jurisdiction. Counsel to the plaintiff in a defamation matter, including obtaining injunctions on the basis of internet defamation and trademark infringement. Counsel to York University in connection with a Human Rights Code proceeding brought by a student. Counsel to a bar owner charged with manslaughter arising in connection with a fatal highway accident after a patron's consumption of alcohol at the bar. The Crown alleged that the act of over-serving alcohol to the driver of the vehicle prior to the accident constituted criminal negligence causing death, notwithstanding that the accused was in no way involved in the act of driving. In a case which raised novel issues in the law of manslaughter, the accused was successfully discharged following a preliminary inquiry. The decision was upheld by the Superior Court of Justice. Counsel to the VON in a judicial review of the termination of a contract for nursing and personal support services. Counsel on successful motion to quash an application for judicial review of the report of the City of Mississauga Judicial Inquiry. Counsel to defendant York University in a proposed class action by students arising out of an instructors' strike. Successful in resisting certification of the action as a class proceeding. Counsel to the respondent Federation of Law Societies in an application under Ontario's Human Rights Code. Counsel to the organization that assesses foreign law school graduates in a successful proceeding against allegations of discrimination on the basis of national origin. Counsel to York University in a successful defence against a professor's allegations of discrimination and reprisal. Lead counsel to the Government of Canada in the mediation resolution issues arising from extraordinary rendition to Syria. William C. McDowell was a faculty member at the 2018 Ontario Bar Association’s Institute. With his depth of expertise and experience in Defamation & Media Law, he discussed "The Impact of Social Media on the Development of the Law". William C. McDowell presented on the topic Lawyers in the Media at the Manitoba Bar Association on January 24, 2014. William McDowell presented on the topic at the 2nd Annual Civil Litigation Summit held in Toronto on June 11, 2013. Will McDowell presented on the topic in a demonstration of an examination for discovery at The Advocates' Society conference. Debate on Cameras in the Courts: Time for a Change? Will McDowell presented on Cameras and New Media in the Courtroom at the 2012 Fall Convention hosted by The Advocates' Society. William C. McDowell served as a panelist at the 2012 OBA Conference "What's New and Exciting in the World of Defamation Law". William C. McDowell spoke on a panel at the University of Toronto Faculty of Law conference Is there Planning Law or just City Politics? He was joined by Lorne Sossin – Dean, Osgoode Hall Law School. They offered differing perspectives on the Mississauga Judicial Inquiry. William C. McDowell speaks about the increased use of social networking websites giving rise to several recent precedent-setting cases at Osgoode's Lunch N' Learn teleseminar. Prepared by William C. McDowell and Usman M. Sheikh for The Advocates' Society Symposium on Professionalism. William C. McDowell's article U.S. Libel Tourism Law Silences Foreign Courts appeared in the March 27, 2009 issue of The Lawyers Weekly.